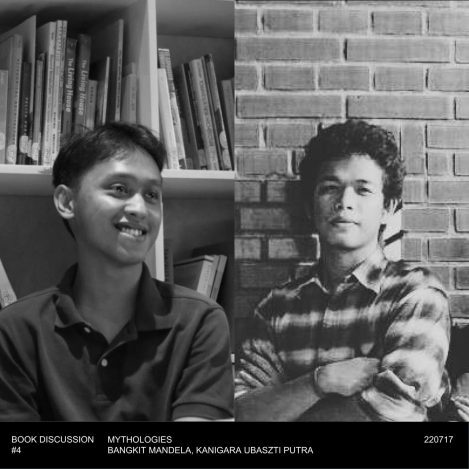 We will gather again for Book Discussion session. After last discussion about Jean Baudrillard, we will follow up our discussion back to Roland Barthes about Mythologies. 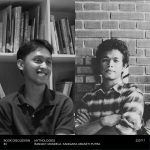 It will be presented by Bangkit Mandela and Kanigara Ubaszti Putra. Sign and its system has shaped our thoughts and how we comunicates as thinking animal eversince invention of writing. We live between representation of reality which relied on sign-system to translate our world. Yet, if sign can helps us describes reality, it also bear quality to deceive us. In this book, Barthes takes apart bourgeois society with his semiotic operation. From wrestling tropes, detergen branding, to Eiffel Tower, images and signification of french cultural product in mid 20th century reveal itself. What does a sign tells us about reality? How myths duplicates themselves in mass production as for today situation? Moreover, how can we utilised them? We will investigate operation of myth based on Roland Barthes’s book. Roland Barthes is a french semiotician and cultural critique. 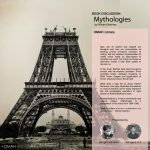 Mythologies is a compilation of his critics from 1954-1956.